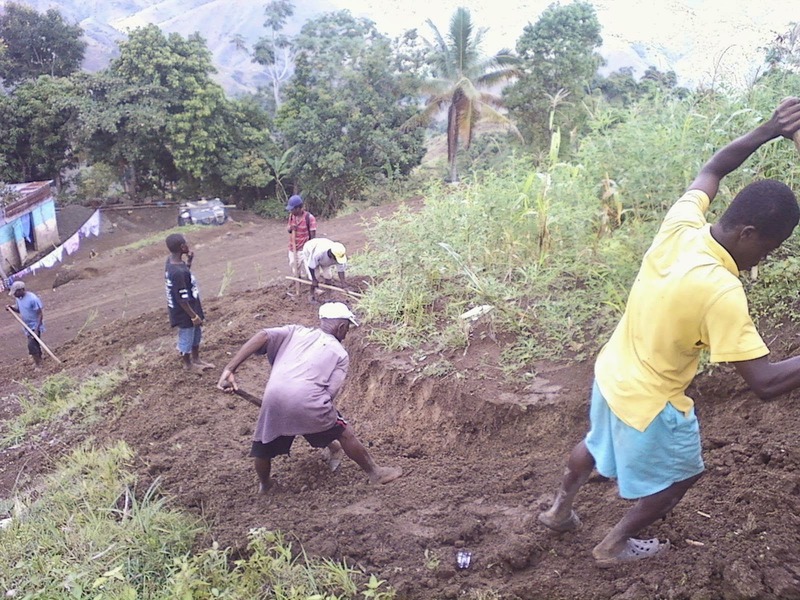 Haiti Next Door: Friends, Can you Dig it? Plant a Tree in...Haiti? Friends, Can you Dig it? Plant a Tree in...Haiti? If you have strong legs and strong hearts, we welcome you to collaborate with our habitants and plant trees near the hill you see on the right, below. And, well, anywhere else to hold the soil. Earlier this year, the partially-finished school and the beginnings of the road - in the background. Foreground is the path winding up to Mon Bouton proper. 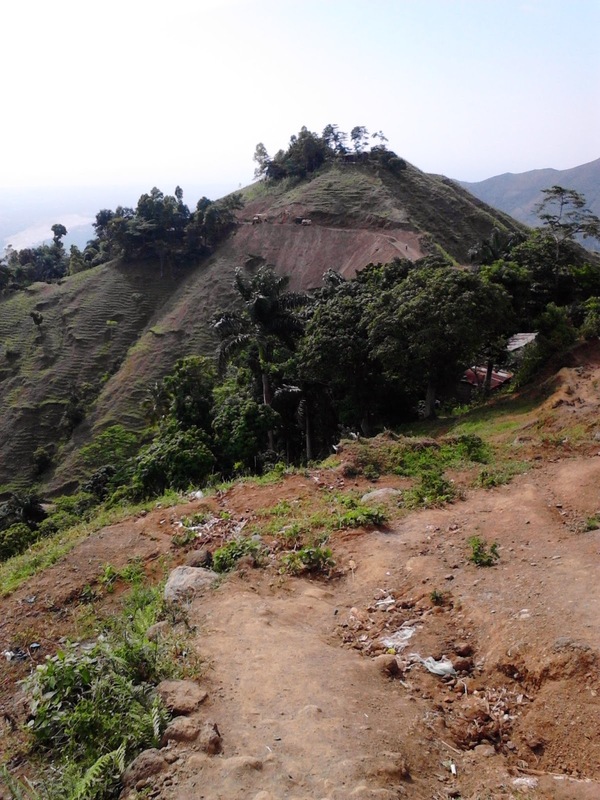 The hill down on the right is Gran Dodo's house, Ti Eli's cleared field and Madame Karolis' home, with Watson, Watkliffe, Minooche and many others of the lakou, area-based extended family. Our team clears part of the hill and constructs and escalier making the ascent to Gran's easier for her - and us! 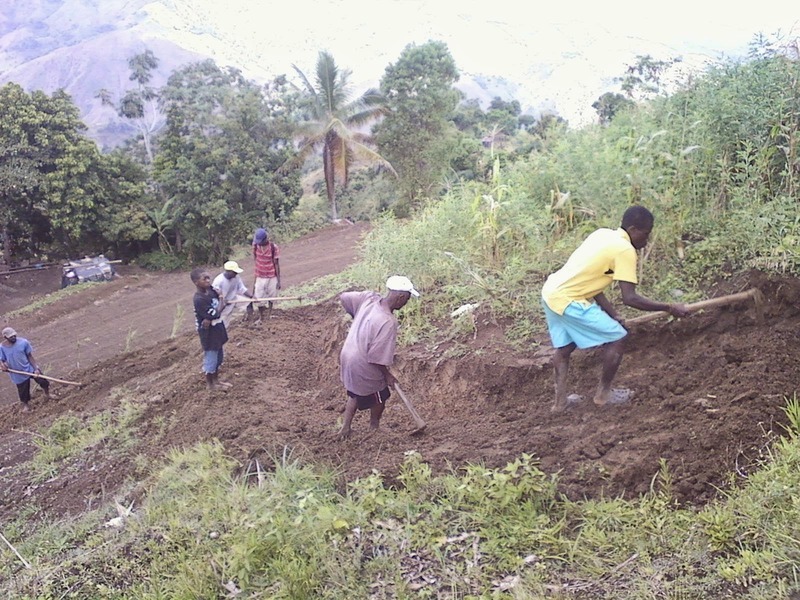 And this is part of the team that will plant trees - mango, zoranje and others - si Dieu vle - along the road to hold the soil. Are you ready to join this work? 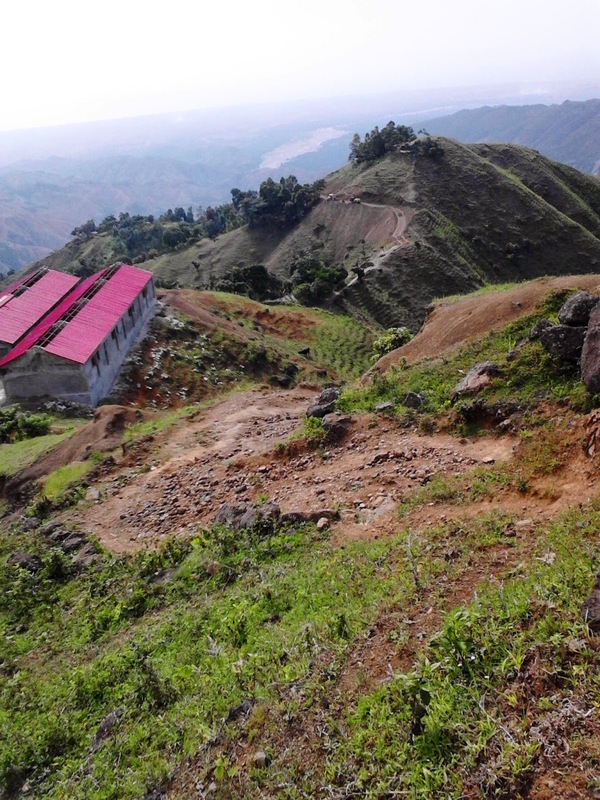 Below, from Mon Bouton, the bulldozers from Samaritan's purse chomp through mountains. Mon Bouton proper rises in the background. And now-finished school buildings proudly rise! It's just one miracle after another up in them thar hills!